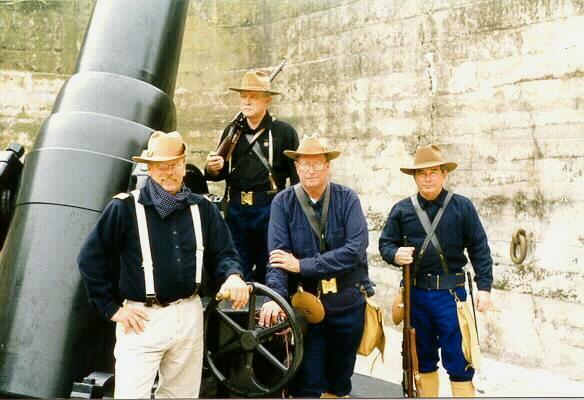 Florida Spanish-American War reenactors next to the 12-inch mortar. 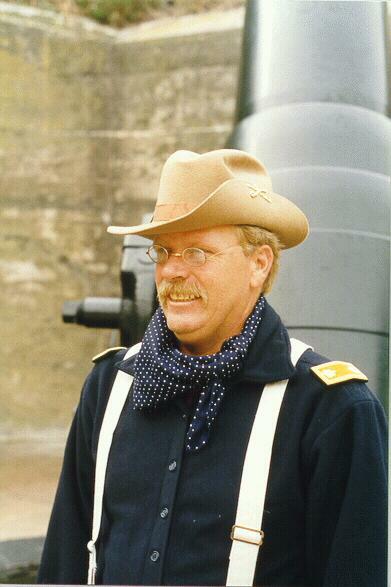 Mark Crenshaw makes an excellent "Teddy Roosevelt"
Reenactors are living historians interested in interpreting a particular period of time. Here, reenactors are interpreting the Spanish-American War which caused Fort De Soto to be built back in 1898.